Running in Chicago, Illinois. 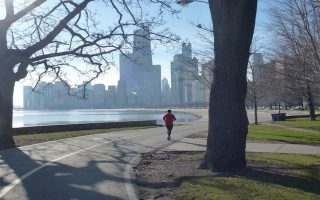 Best routes and places to run in Chicago. Chicago, Illinois — known for its art, architecture, and food — is also a top running city. Our guide to the best places to run in Chicago is defined by the city’s setting on Lake Michigan and the 18-mile long Lakefront Trail. 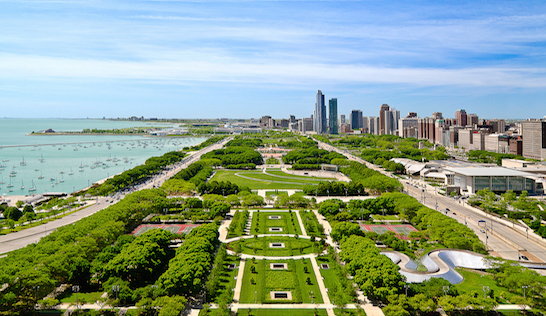 This path has it all: views of the lake and the spectacular Chicago skyline, beaches, major parks, and a breathtaking loop around Museum Campus. 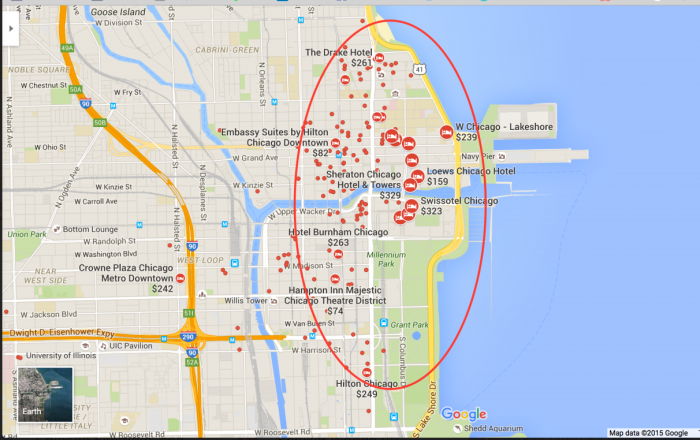 Nearly all the major hotels in Chicago’s downtown core are within a mile of the Lakefront Trail. Other important runs in the downtown core include the majestic paths of Lincoln Park and Grant Park, and the Hyde Park area, featuring Jackson Park, Washington Park, and the University of Chicago. There is great running on the north shore, and some wonderful residential suburbs. 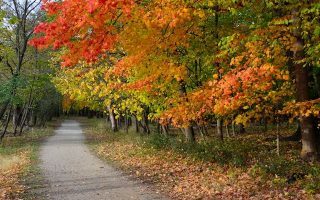 We have also mapped out some routes along bike paths and the ‘Forest Preserves’ near O’Hare Airport, and in suburbs such as Schaumberg, Hoffman Estates, and Arlington Heights. 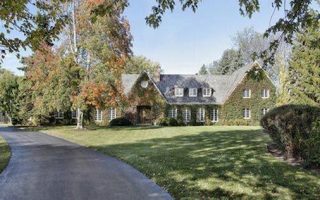 See our Chicago suburbs guide for even more! This 18-mile trail is one of the most spectacular urban runs in the country. 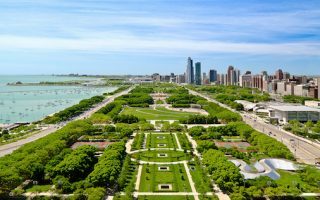 Gorgeous views of Lake Michigan and the Chicago skyline, urban beaches, marinas, and beautiful parks, passing by some of the city’s famous cultural institutions. Several loop and trail options around historic Grant Park and the newer, renowned Millennium Park. Water views, beautiful landscaping. The Loop incorporates some of Chicago’s most impressive architecture. A “light jog” architectural tour of the Loop can be very enjoyable, especially if you do it early in the morning or in the evening. Fabulous running about 5 miles south of the Loop. 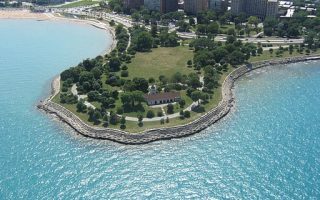 Highlights include Promontory Point, Jackson Park, the University of Chicago, and Washington Park, and the 'Midway Pleasance',-- a European-style allée. 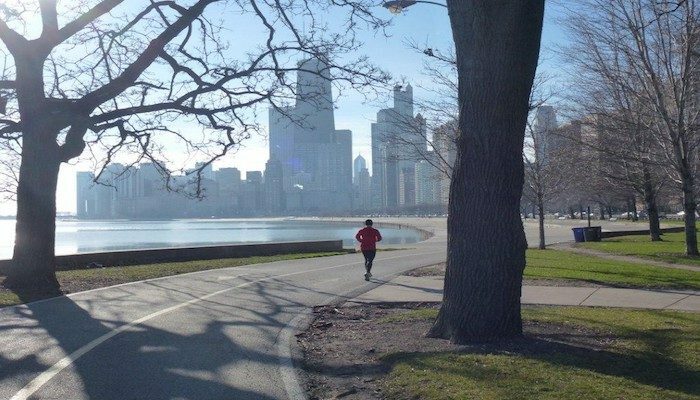 This run features the tree-lined streets of Chicago’s Highland Park neighborhoods, which takes runners on a 13.1-mile tour of some of the areas made famous in the movies made by director John Hughes in the 1980s. 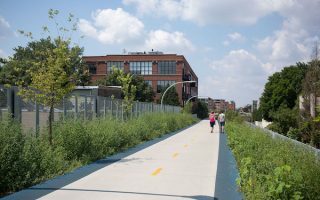 A brand new elevated urban trail built along a former rail line in Chicago's west side. The wonderful 2.7-mile greenway features separate pedestrian & bike paths, public art, and lovely landscaping. Humboldt Park a nice add-on. The Chicago area is geographically huge. 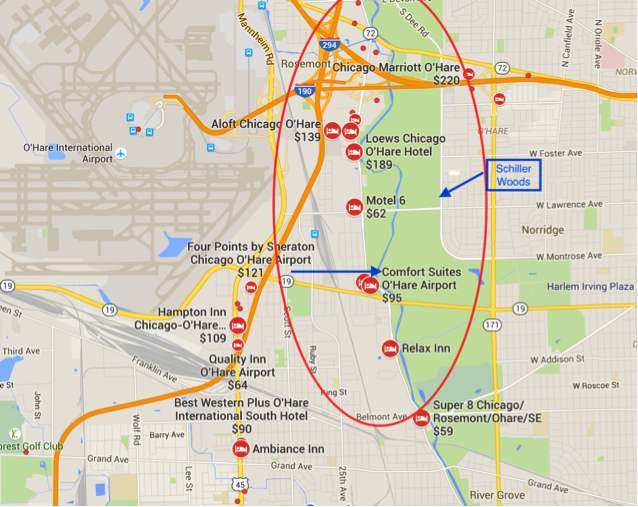 This is a guide for those who end up near O'Hare Airport and areas of major office parks: Schaumberg, Rosemont, Arlington Heights, Hoffman Estates. There are some wonderful bike/running trails and "Forest Preserves". 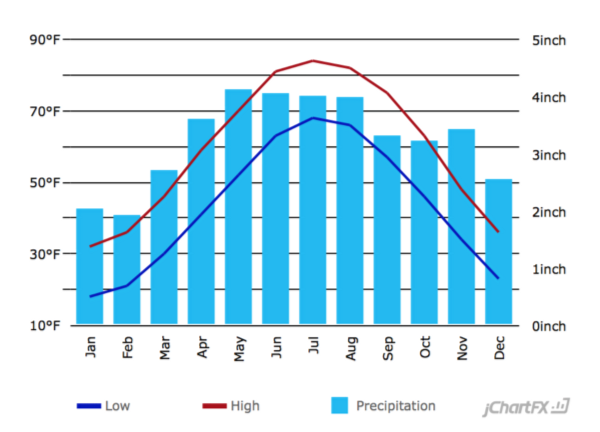 Chicago has a climate of extremes. Cold, dry winters and warm to hot summers. Winter can be cold and icy, with harsh winds. Dress appropriately. Summer can be hot and humid. There are a good number of running and athletic stores within proximity of the key routes. The Runner’s Edge. Great local chain of running stores. Group runs Thursdays at 6:30 p.m.
Universal Sole. A Chicago Institution. Locations near Lincoln Park and the West Loop. Lakeview store has group runs Monday at 6:30 p.m. and Saturday at 8:30 a.m. Finish Line. 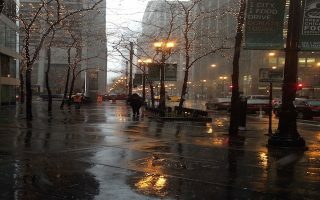 Heart of Michigan Ave./Magnificant Mile. Another location near Millennium Park. Fleet Feet. Six locations in Chicago, one at South Loop and the other North Lakeview. Runners Edge. Group Runs Thursdays at 6:30 p.m.
Universal Sole. Lakeview store has group runs Monday at 6:30 p.m. and Saturday at 8:30 a.m.
Fleet Feet. South Loop location has runs Monday & Thursday @ 6:30 p.m.
Nike Chicago. Numerous stores in the area with multiple group runs each week. Chicago Area Runners Association. Very vibrant local running organization. Numerous group runs each week, various locations. City Running Tours. Themed group runs for a fee. Customizable and small group runs.